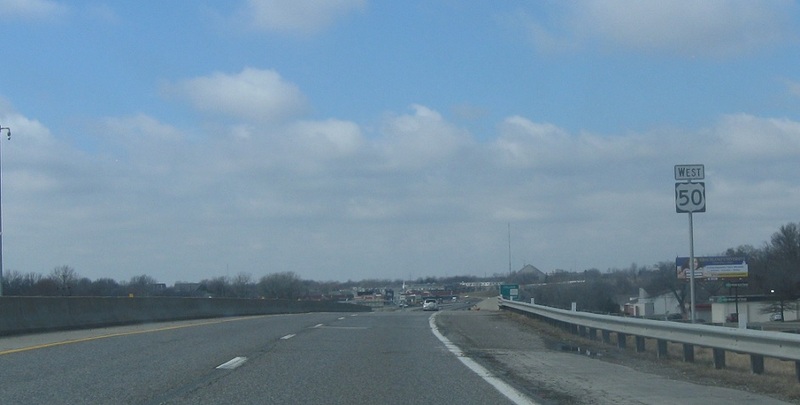 Reassurance shield after the 291 split. 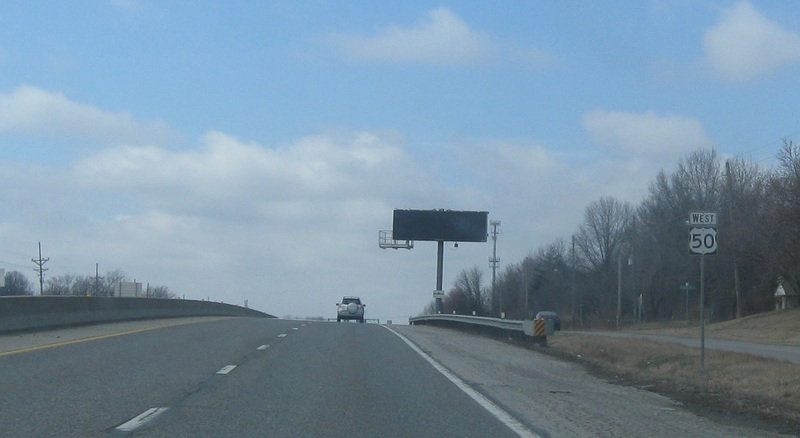 Reassurance shield at the 3rd St exit. Reassurance shield as we head around 3rd St.
Reassurance shield a couple hundred feet later. 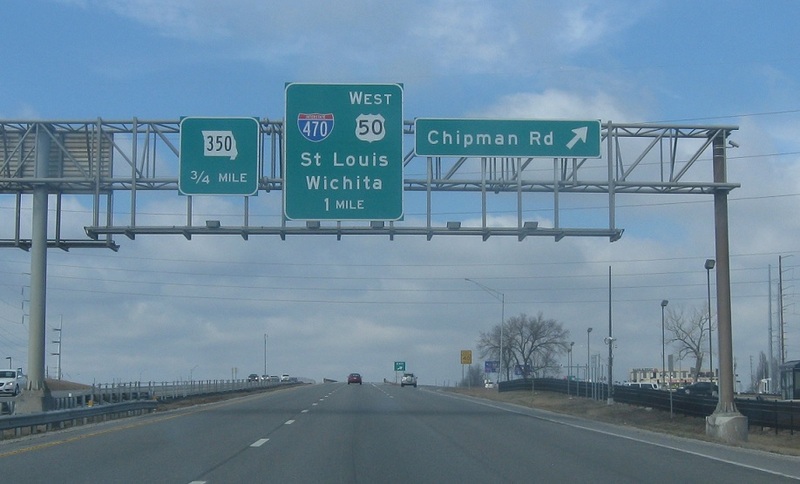 At the Chipman Rd exit, we’ll get advance notice for I-470 and Route 350. 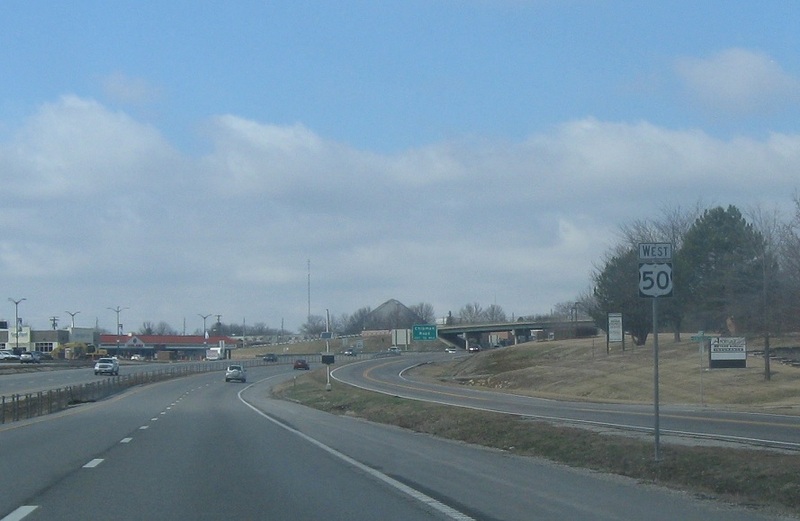 I-470 forms the southeast portion of the KC beltway. 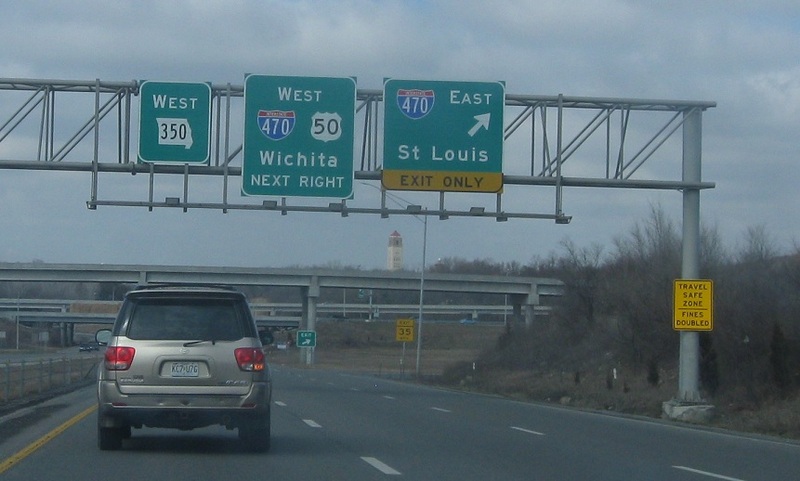 Exit for 470 east to St. Louis. 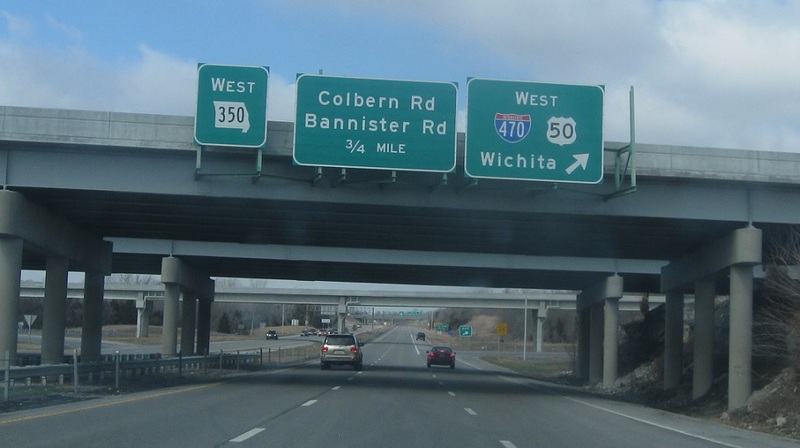 Exit for I-470 and US-50 west towards Wichita, Kan. 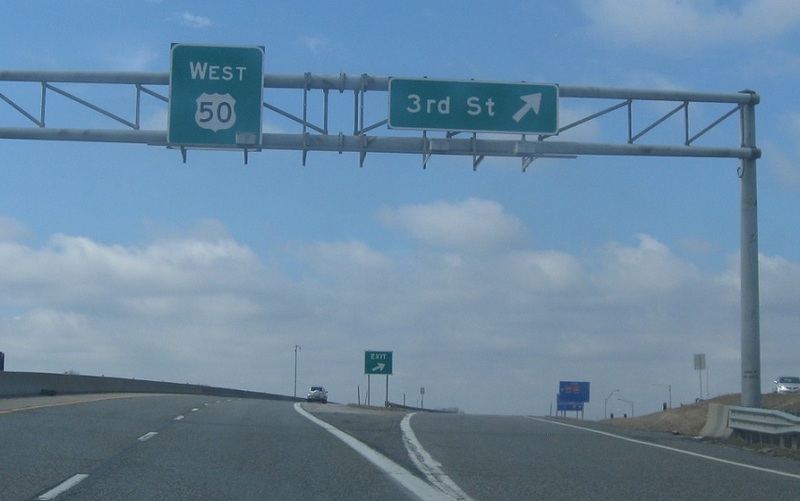 The freeway turns into Route 350.